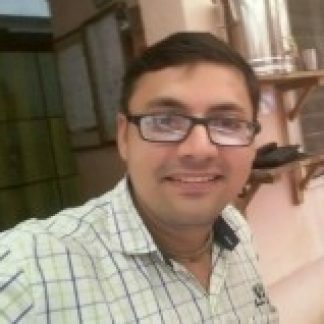 My name is Raj Narang Akka Rajgopal Das. I am connected to Radha Gopinath Bhakta Samaj. It would be good to know that my all family members are chanting and we have deities of Jagannath, Baladev Subhadra at home. I like to sing Kirtan and bhajans. I have 3 sisters and my 2 sisters are Initiated disciples. My sisters are married to devotee husbands. I am Simple, Presentable, Respectful, Mature, Caring, Understanding, Responsible and a friendly person. I love to engage myself in devotional service, whether it may be deity dressing, worship, cooking, cleaning, book distribution, Preaching, fund collection, etc. I have done my Bachelor of Commerce along with a Diploma in Software Testing. I am working as a Sr. Quality Analyst in TATA Consultancy Services Ltd.
My expectations from the partner is that she should be Simple, Use her life in Krishna consciousness as much as possible. Should be Understanding, Presentable, Mature, and a responsible person. Should be strict and serious in her Sadhana. DOB: 18 August’1988 , Time: 10.40 am Place: Mumbai. If the Kundali matches and there are no concerns then we can proceed with further formalities. Thank You for going through the profile. I work in Tcs in Software Testing. I also have my E-Commerce Business. I earn around 7-8 lacs anually.